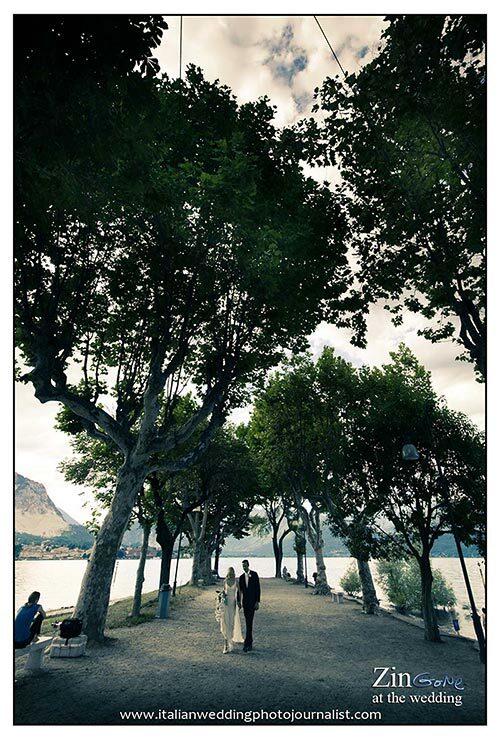 I’m back to Lake Maggiore for this post. 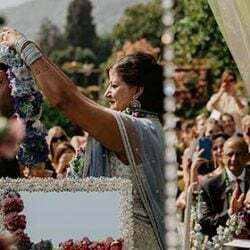 I’m so pleased to tell you about Lisa and Jim’s wedding. 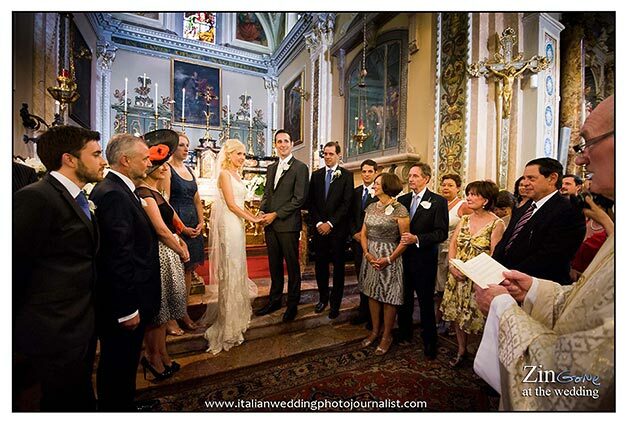 Lisa and Jim are a wonderful couple who chose this wonderful spot of Italy to tie the knot. Lisa is a lovely and very pretty irish girl and Jim a handsome American guy. He is very friendly and funny… he is a comedian! 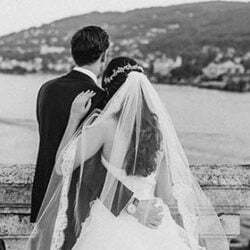 When I first met them on Lake Maggiore I knew that our time together to plan their wedding was going to be a great pleasure and fun. And so it was. 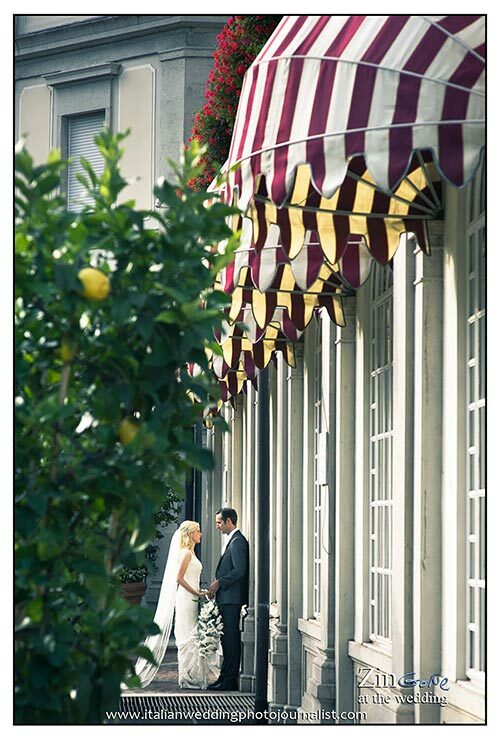 For their romantic day on Lake Maggiore they chose two lovely towns on the shores: Lesa and Stresa. Being Irish, (that is almost like being Italian 🙂 for these things!) 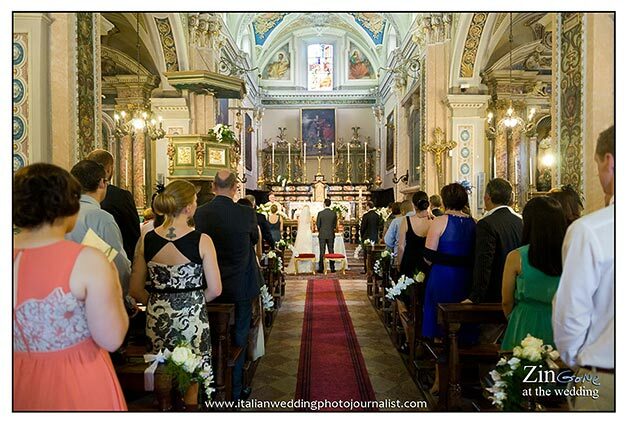 Lisa wanted a Catholic wedding in a church. 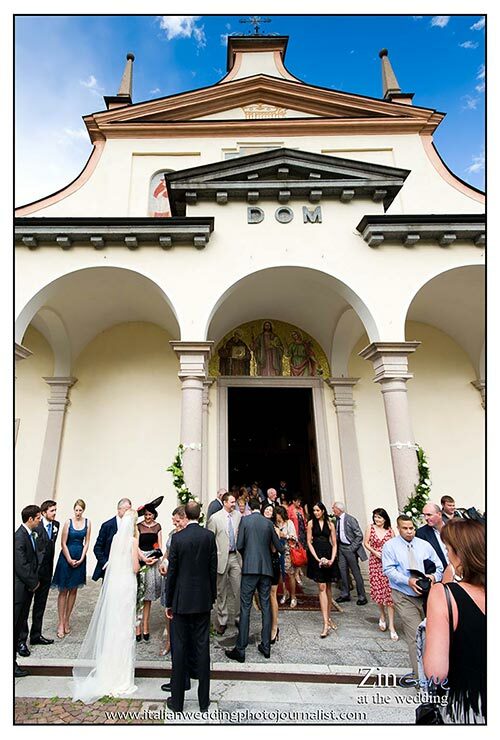 After several visits to different churches on Lake Maggiore, Lisa and Jim found the right one: Church of San Martino in Lesa. 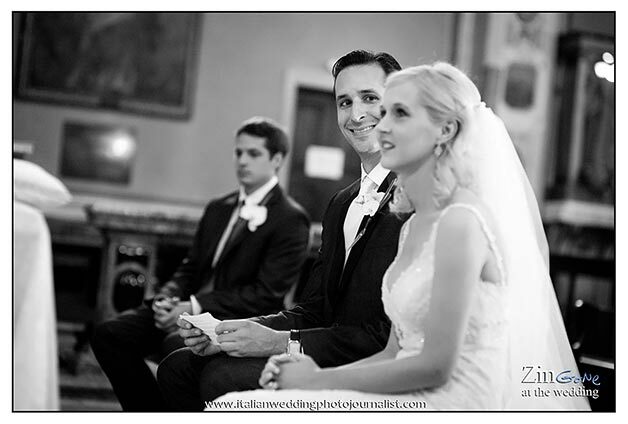 I was very happy Lisa and Jim chose this venue for there ceremony as the church is just a jewel and Don Massimo, the priest here is incredibly friendly. 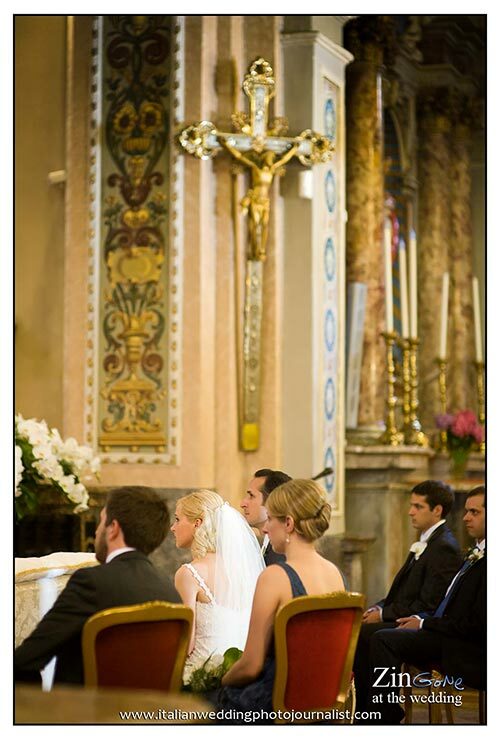 He was happy to have this lovely couple in his parish. Let me spend some words about Lesa and its church. 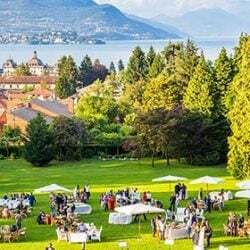 Lesa is located South of bigger and most known Stresa. It is located just in its shores. One of most famous Italian writer Alessandro Manzoni (who wrote I Promessi Sposi) used to spend his summer s here and there are also many other vip living here, among all Silvio Berlusconi ex Italian prime minister. Church of San Martino is located in the centre of the village and overlooks the lake. It was built in 1224 and modified through the centuries. Nowadays the church has a wonderful central nave and other two on the side with beautiful frescos. 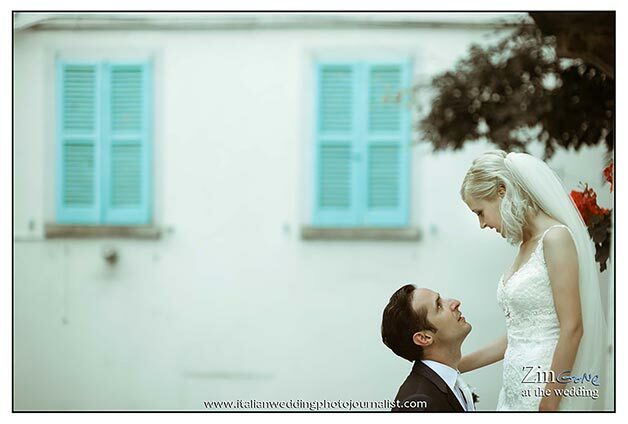 The facade with its arches and the Romanesque tower bell make a great backdrop for amazing wedding pictures. All guests and Jim arrived here by boat while Lisa reached them after a while by a limousine car. The ceremony was absolutely moving. it was celebrated by Lisa’s priest who knew her since she was a child. You can imagine how much all were involved in it. 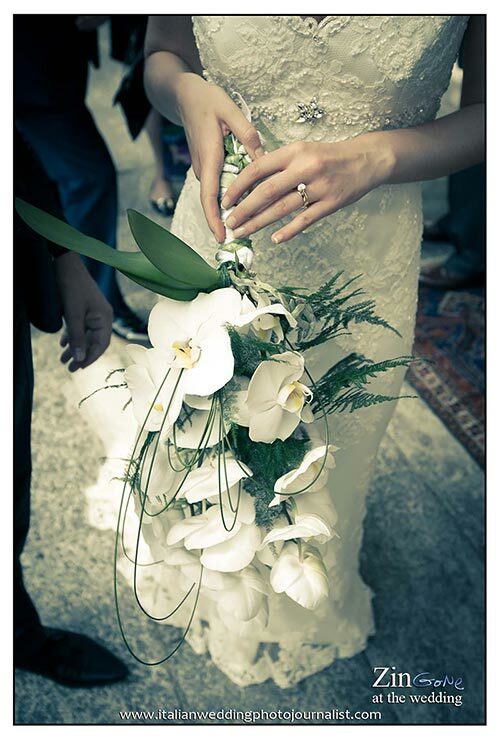 The church was fully decorated with phalaenopsis orchids, Lisa’s favourite flowers. 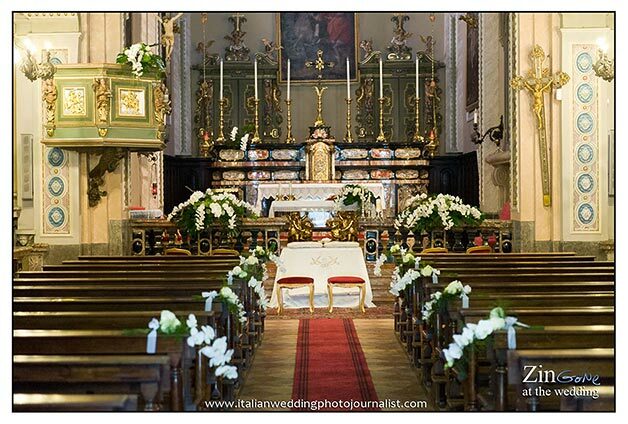 They enriched the church in a wonderful and elegant way. These lovely orchards matches also Lisa’s wedding bouquet and Jim’s buttonhole. 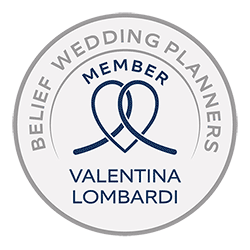 Lisa wanted a total white colour scheme that matches also reception and wedding cake decorations. After the ceremony, all the guests took the boat back to reach reception venue while Lisa and Jim took some time for their own for their wedding photos. 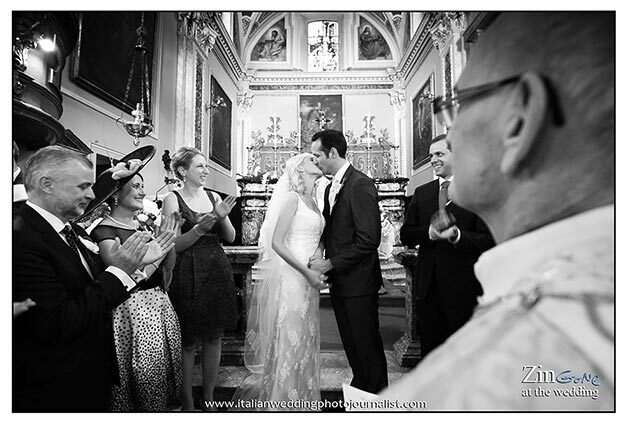 You can see here some great shots by Alessandro Zingone photographer. 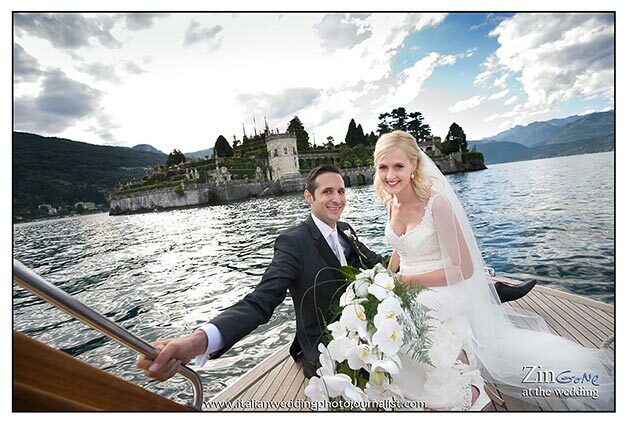 He followed Lisa and Jim on a boat tour of the lake and then to Isola dei Pescatori and Isola Bella to capture this lovely couple on Borromeo Islands a place you cannot miss you plan a wedding on Lake Maggiore. Sky and temperature was great and pictures you can see here could really show you the beauty of this spot of Northern Italy. After a lovely boat trip back to main land, Lisa and Jim reached their guests for a lovely aperitif and some more photos. 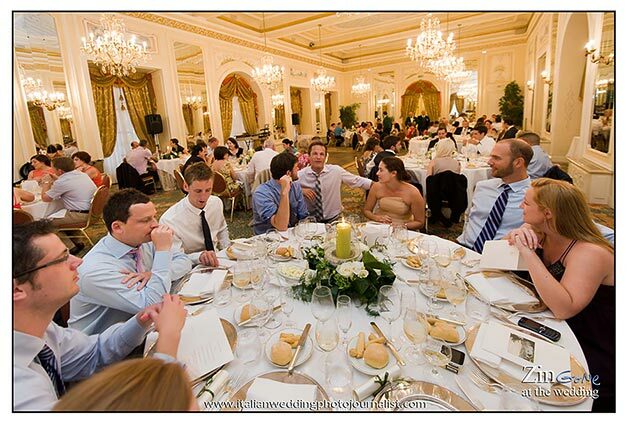 Wedding reception was planned to Grand Hotel des Iles Borromées. We talked many other times about this lovely hotel on our blog but every time we come here we can really breath vintage and elegant atmosphere of Belle Epoque. 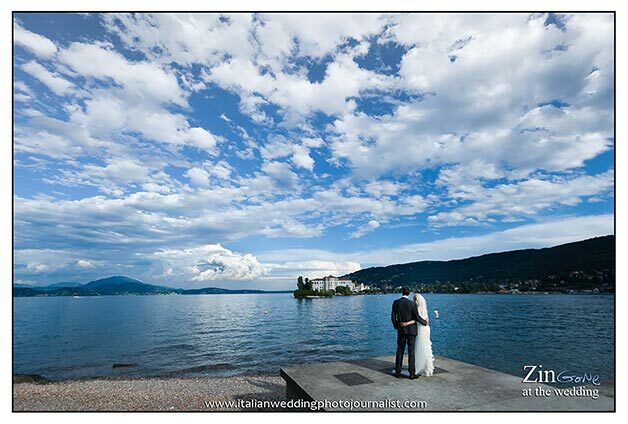 Grand Hotel des Iles Borromées is a stunning wedding reception venue on Lake Maggiore. The hotel is a 5 star deluxe and it was established in 1861, it has more than 150 years of history. 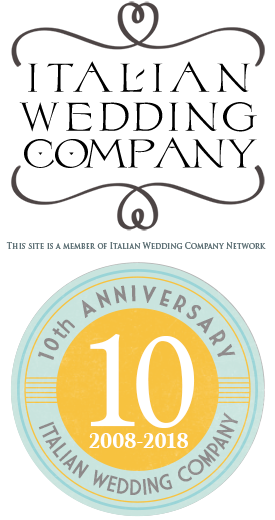 It was the same year of the unification of Italy as a nation. You can still appreciate the beauty of ancient times: elegant mirrors, marvellous chandeliers, golden plasters. Ernest Hemingway wrote here his Farewell to Arms and names like Queen Elizabeth and G.B. Shaw stayed here at least once in their lives. 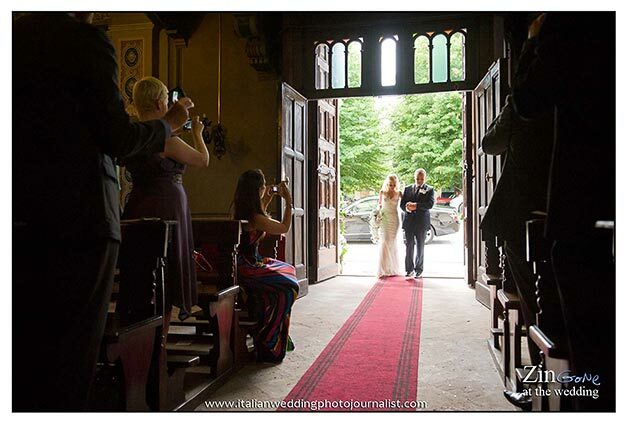 Lisa and Jim could not choose a more elegant venue for their reception, they loved it and this is also the reason because they wanted more very private photos in the grounds of the hotel. The dinner was served in the main function room that hosted also dances and cutting of the cake. 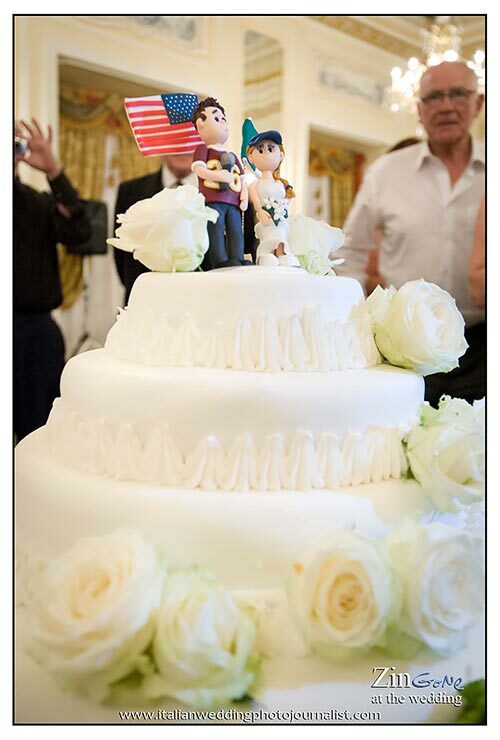 A lovely and funny cake with two figurines on top, Lisa and Jim and their respective flags. 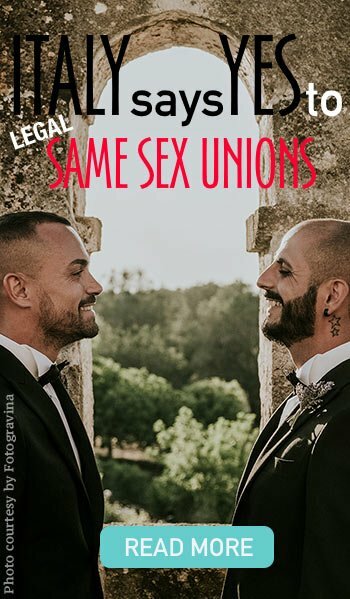 Isn’t it sweet? 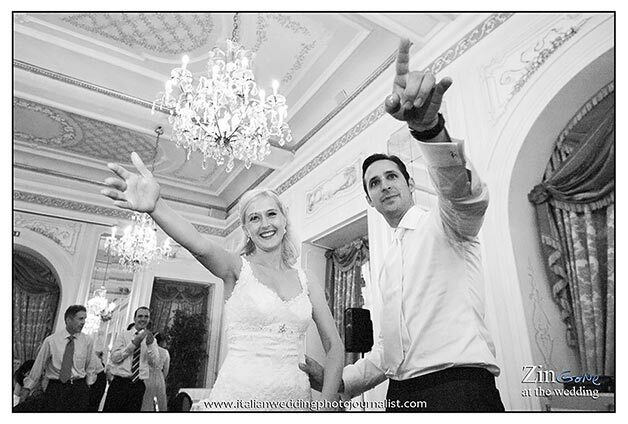 For the after dinner party Grand Hotel des Iles Borromées has a different rooms where dances and bar can stay open up to 2am. This is what Lisa and Jim did too. The party was great and Lisa and Jim will stay a long time in my hearts. Thanks guys for sharing with me such a great moment of their lives. 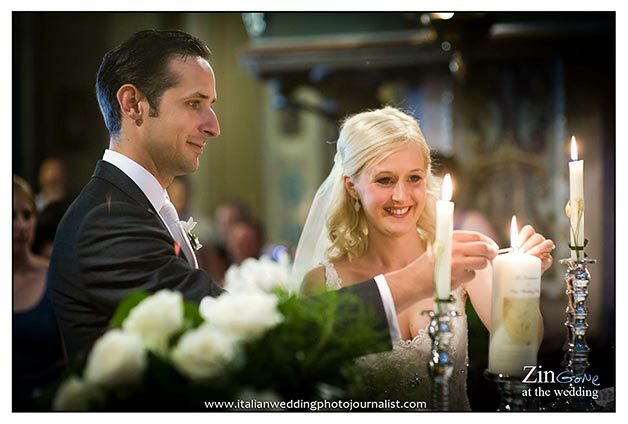 A very special thanks to Alessandro Zingone photographer for the pictures in this post.